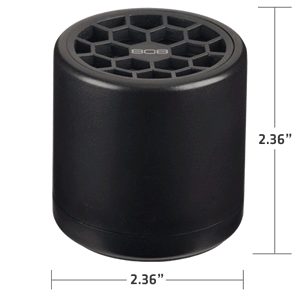 808 Thump wireless speaker is the must have affordable, portable Bluetooth speaker. Thump produces quality rich sound for its small size. 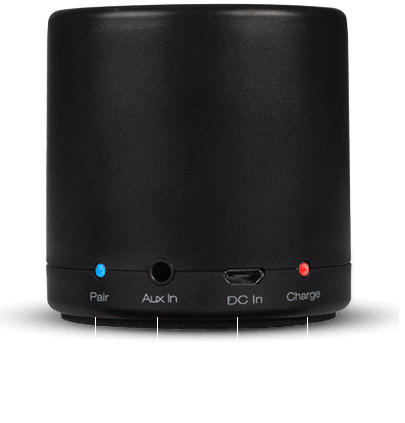 Stream your music via Bluetooth or connect using the Aux-in jack to make listening to your music whenever and wherever you want a breeze. Thump speakers feature a rechargeable lithium polymer battery providing 6 hours of playtime at normal volume from a single charge. I first got the speaker and was suprized to how small it was. But for the size of the speaker it was way loud and had great clarity. The battery life was also great for a portable speaker to go outside. This thing packs a punch! I love it! I got mine in Blue from my local walmart, and it is really good quality! I've also noticed inside, it's actually a small subwoofer! I love this product and I'm looking to maybe build a similar one with a homemade subwoofer of mine. This little speaker is awesome, it has the sound of a normal size stereo speaker. I've had it over 6 months, the quality is fantastic the sound hasn't changed since the day I bought it. My girlfriend bought one right after hearing mine, we're both getting another, you can't beat the value. Sound is good for a good price. However, when I turn the speaker on and when it pairs, it make a ridiculously loud noise indicating that it is on! Just a quiet little beep would be sufficient!!! Just bought my speaker from Walmart and brought it home. Right out of the box it paired up quickly, no problem.Also no problem with having to re-pair each time, it does it automatically when I turn on the bluetooth with my chrome laptop. Perfectly loud. Love it! My mother picked up the 808 Thump speaker for me after I mentioned I was looking for a good Bluetooth speaker. I was skeptical at first because i had never heard of the brand before but this speaker really packs a punch. It pairs quickly with all of my devices and has great sound quality. The 808 Thump is small enough to fit in your pocket and looks good just about anywhere. It's extremely durable, as i have put the poor thing through hell. Great speaker amazing quality compact and small so good had to buy another one best speaker around!! The bass is fantastic and the sound maches. Unbelievably loud and great bass for such a little speaker. It literally moves (hops) across a flat surface with every THUMP of bass. So i guess that's where they got the name. Best loudest little speaker i've ever heard. Great buy!! For such a small device for only $20, you simply can not beat this speaker! Its so tiny, cute AND portable. It's perfect for when you just wanna listen to music in your room alone or something. totally for the $20. Not kidding! !